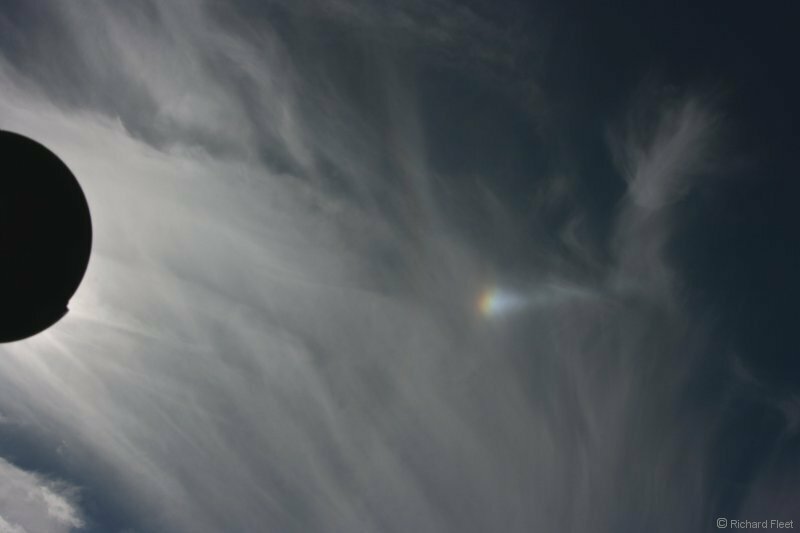 Another afternoon with a mixture of halo effects in different patches of cirrus. 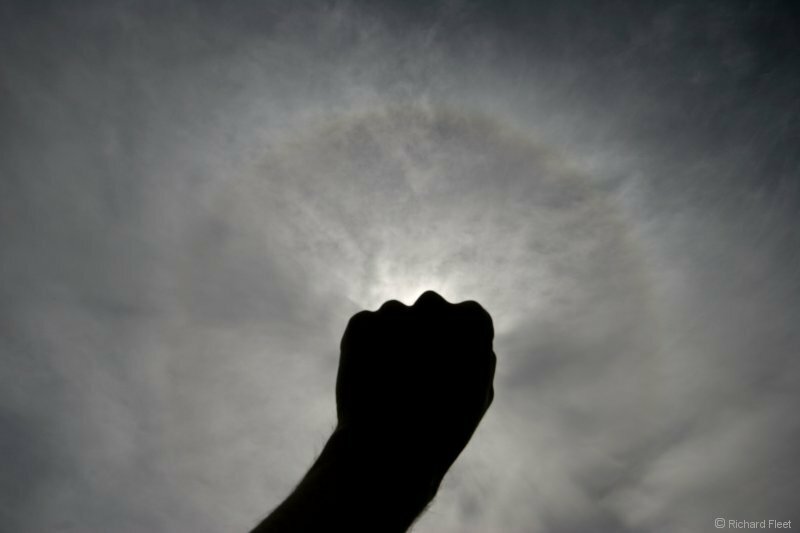 This started with a weak 22 degree halo in some rather mottled cirrus, never quite making a full circle. 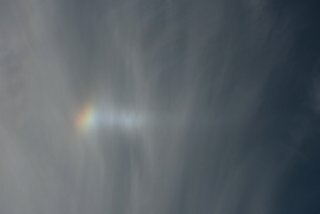 This was followed by a very bright and colourful sundog with a distinct white tail. 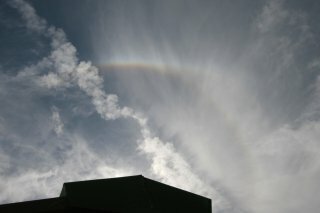 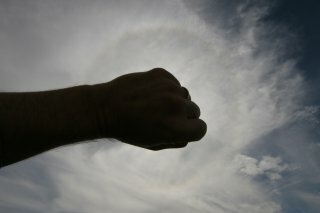 Then a colourful upper tangent arc developed, with part of the 22 degree halo curving down to the right. 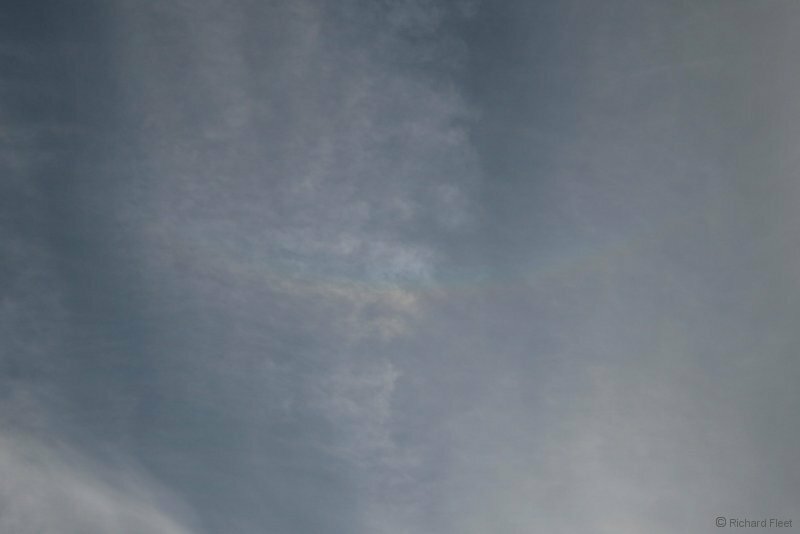 The show finished with this faint circumzenithal arc.